Product prices and availability are accurate as of 2019-04-09 06:01:49 EDT and are subject to change. Any price and availability information displayed on http://www.amazon.com/ at the time of purchase will apply to the purchase of this product. 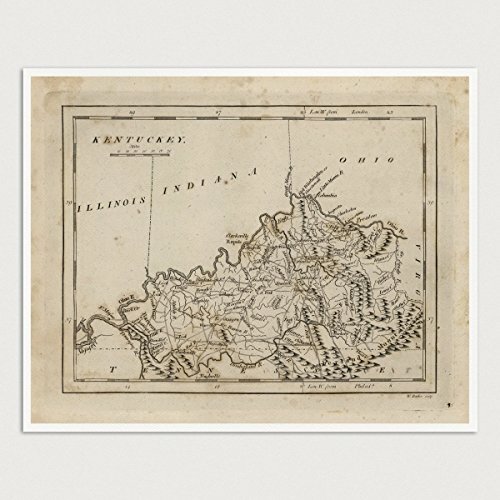 Archival print reproduction of an antique map of Kentucky from 1816 by Mathew Carey. 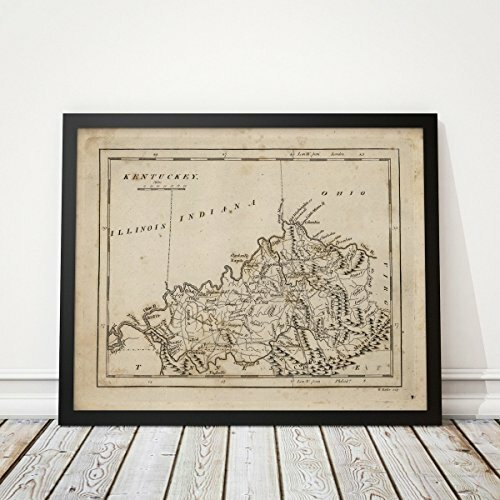 Museum-quality giclee inkjet print on 100% cotton, acid-free, heavyweight matte fine art paper with archival pigment ink. 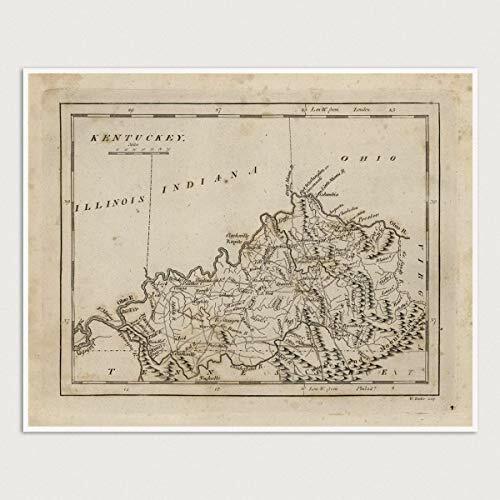 Each print comes packaged in a clear archival sleeve with a 1/8 inch thick white acid-free foam backing board, and is sized to fit perfectly in a 11x14 inch standard-size frame.